This page will take you through the laws surrounding online casino betting in the Netherlands, so as a Dutch citizen or visitor, you feel at ease knowing what kinds of Internet gambling you can legally partake in, inside the country’s borders. The Netherlands has a strong gaming industry, with several regulated land based casino venues located throughout the country, all owned and operated by the Holland Casino Group (the company that was given a state-granted monopoly on brick and mortar casino gaming). The Dutch government has expressed interest in allowing for the privatisation of land based gambling in the future. Sports betting is also a huge industry in the Netherlands, with the two companies – De Lotto and Scientific Games Racing BV (both state-owned) – controlling the market. Reports suggest that Dutch citizens spend approximately €800 million on foreign owned online casino sites, each year. Previously, the Dutch government had attempted to restrict foreign owned Internet casino operators from offering their real money services and products to residents in the Netherlands, with little success. Now, the Netherlands Online Gambling Bill has been passed to allow national based and international based online gambling operators to legally acquire licenses to offer real money and regulated gambling services to Dutch citizens. Industry taxes, licensing requirements and advertising standards are all chief aspects of the new bill and will be heavily regulated by the government. This new legislation aims to create a safer environment for those interested in gambling online and playing real money games such as blackjack, roulette, the pokies, poker, sic bo, baccarat and other casino favourites. The new legislation will also enable the government to be able to more closely monitor and legally regulate the licensed gaming operators, and punish unlicensed Internet gaming businesses that seek to offer their services to Dutch residents. Kansspelautoriteit, an independent Dutch gaming regulatory body, stated that more than 100 European Internet gambling operators had expressed interested in entering the Netherland’s gaming market. The Dutch government has also reduced the tax rate on profits made by online gambling organisations from 29 per cent to 20 per cent, to increase competition from local and foreign competitors. What is important to note is that as Dutch residents or foreign visitors, it has and continues to remain legal for you to access and utilise the services and products offered by any online gambling operator. It is also important to recognise that many Internet gambling operators dabble in fraudulent and criminal behaviour, so choosing which operators you spend your money and time with is of the utmost importance. 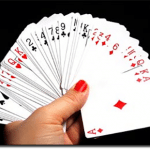 The following online and mobile optimised blackjack casino websites are all licensed and registered by appropriate gaming governing commissions such as the United Kingdom Gaming Commission, the Malta Gaming Authority and Curacao eGaming, and are regulated and audited by independent gaming testing agencies like the eCommerce Online Gaming Regulation and Assurance body (eCOGRA), iTechLabs, bmmTestLabs and others – companies focused on responsible operator conduct, player protection and fair gaming. All these Web casino sites accept Dutch players and deal directly with the Euro (so no currency exchanges are required). Each Internet casino platform also offers globally trusted deposit and withdrawal methods and all financial transactions are protected by the latest secure socket layer (SSL) digital encryption technology. 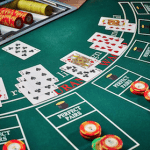 Players can remove their personal data from the Internet casino operator’s database at any time, and all personal information is protected and never shared with any third party companies. Check the site’s specific banking pages for information regarding money transaction processing times. Play Euro blackjack games directly via your Web browsers by opening any of the casino links from this page, on any compatible device. This is referred to as ‘instant play’ gaming, where games are loading without the player having to download/install any software. It is fast, efficient and convenient. Optimised devices include laptops, desktops, smartphones and tablets. The gaming graphics, visuals and audio are unrivaled, with esteemed and reputable software developers (such as Microgaming, Net Entertainment, BetSoft, Play’n Go, Qucikspin, Evolution Gaming and Ezugi) competing day in, day out, to provide the the highest quality games with flawless designs across all gaming platforms. 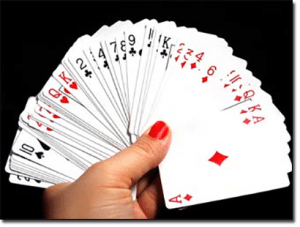 Also be sure to have a browse and play through the live dealer games via the live dealer gaming lobby at each of the recommended online and mobile blackjack casino sites. 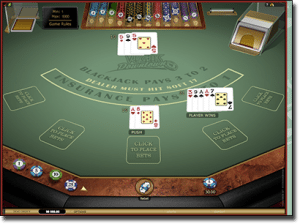 With authentic blackjack and other casino tables games (roulette, poker, lottery and baccarat titles) run by professionally trained croupiers in regulated studio environments, the action is streamed live to your screens in high definition, so you can watch and place real money wagers from any device, anywhere, at any time. Live titles are overseen by adjudicators and technicians. It looks set to be a promising future for the Dutch citizens in regards to the liberalisation of online gambling regulations. While it has never technically been illegal for residents to gamble at Internet casinos, the environment for betting at online and mobile blackjack casino sites is now far safer and better regulated. Internet gaming operators will be competing to win over Dutch residents, allowing for higher quality games and better odds for the players, while also ensuring that problem gamblers are treated appropriately. Register a free account at www.Guts.com, practice the blackjack variations for free, and then deposit EUR cash to start winning real money.